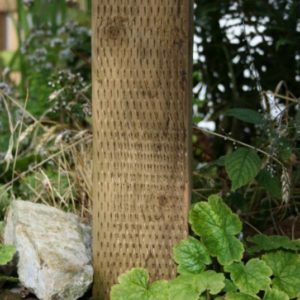 The 75mm x 75mm posts are ideal for supporting trellis, panels and fences in sheltered positions or where the panels do not offer too much wind resistance. 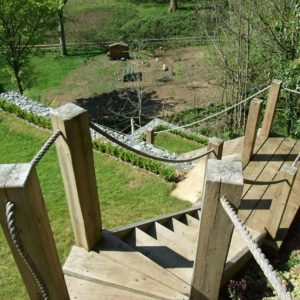 They are also useful as supports for smaller sheds and for cutting into smaller lengths for retainers and supports in raised beds. 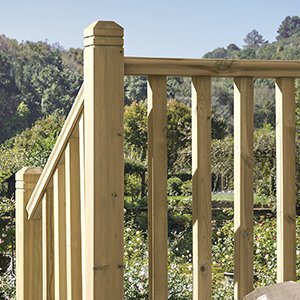 Post and rail fences and agricultural fences normally utilise the 75mm x 125mm posts which provide a larger face to secure horizontal rails to. 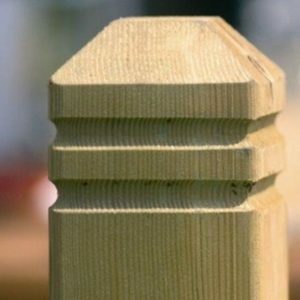 Also available is the 75mm x 150mm post which is often specified in the fences adjoining dual carriageways and country roads. Featheredge fences and privacy fence panels generally offer more resistance in strong winds and are best supported by the more substantial 100mm x 100mm. 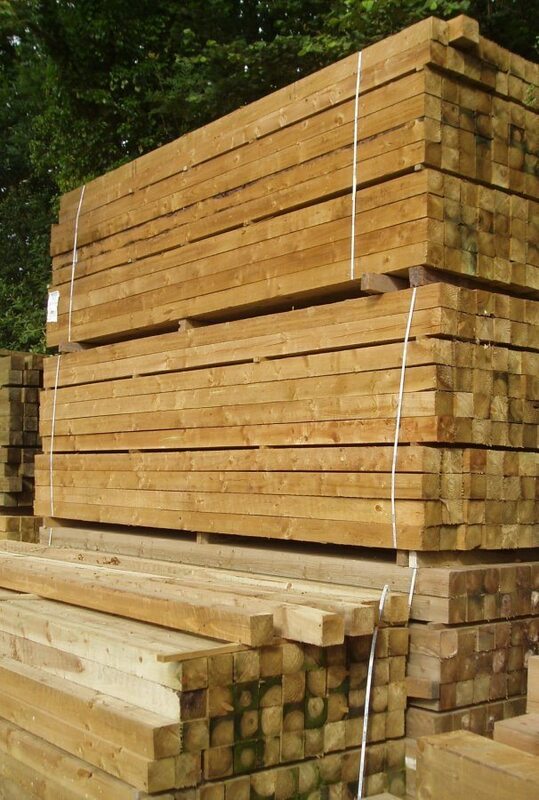 These posts are also sometimes cut into shorter lengths to create dwarf posts up to joist level in some elevated decking installations. All of our posts are pressure treated, most of them with Tanalith E preservative. This treatment gives the timber a light green tint which soon mellows to pale brown then grey. The most important factor is the protection against fungal and insect attack. We offer next day delivery, when required, for our normal delivery days (Monday to Friday) and normal delivery areas. Customers are requested to phone in before 12.00 pm on the day prior to delivery with their complete product listing, delivery address and payment details.